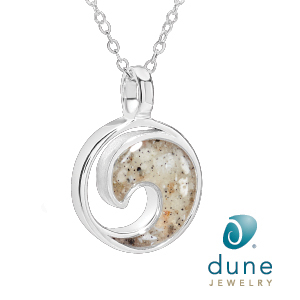 Sandy Jones Jewelry specializes in Estate Jewelry and one of a kind designs from PearlWorks by Sandy Jones. Sandy creates one of a kind necklaces, bracelets and earrings in gold, platinum and sterling silver mixed with precious stones and colorful pearls. The store offers personalized repair, redesign and creative gift giving. We travel the world to work with women designers and artisans to bring you their exquisite, yet affordable, items of handcrafted design, artistry and creativity. Dedicated to celebrating women using passion, skills and heritage, we strive to make the world more happy, harmonious and beautiful. Tired of messy, inconvenient ice packs to help tired, puffy eyes and headaches? FreezeFrames® give the benefits of ice through the ease of stylish sunglasses. Reusable gel-pad attachments can be cooled or warmed and attach to the inside of the sunglasses as needed. Go about your busy day and treat ‘Bad Eye Days’ on the go! 100% UV protective, doctor recommended. Great gift idea! “Joy! Joy! 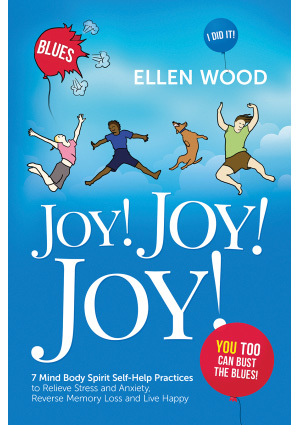 Joy!” by Ellen Wood, award-winning author of “Think and Grow Young,” tells how to relieve stress and anxiety, reverse memory loss and live happy. Order copies for yourself, and for family and friends who could use some Joy, Joy, Joy this season. Give your friend the best gift ever this year! 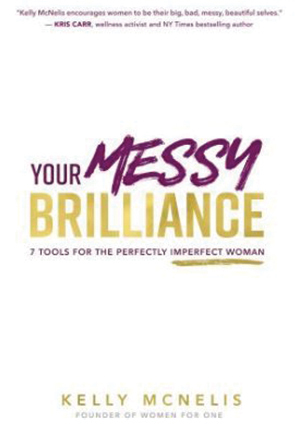 Your Messy Brilliance will help them see that perfection is overrated… not to mention, there’s something so much better waiting for them. It’s is not just another prescription for living the beautiful life. Instead, it offers an engaging, customizable roadmap to the authentic you. The race for the cover of DREAM is a simple story, illustrated by the use of fashionable supermodel characters whose names are based on Fear, Doubt, Bound, Worry, and Faith. It is the story of one’s journey for the cover of DREAM (success), and the hope it brings to us. Shift from frazzled to focused, from chaos to calm. 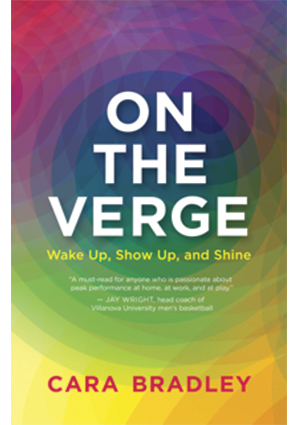 In her Amazon best-seller On The Verge, mental strength coach and biz owner Cara Bradley offers no-hype advice and essential practices to step beyond “crazy busy” and show up for life with high definition clarity and high voltage energy. 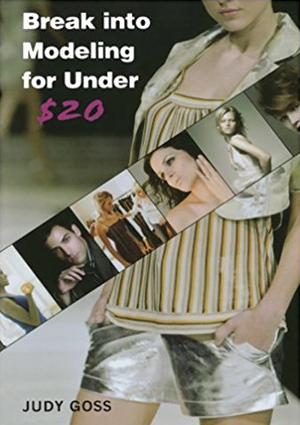 Judy Goss, a former high-fashion Ford model and also previous agent, casting director and magazine editor, has set out to dispel the myth that breaking into the modeling business requires expensive head shots and other costly investments. Judy’s 4-step process is simple and easy to follow. Face In A Case® is the ultimate magnetic makeup organizer. A convenient and organized solution to cleaning up your messy makeup bag. It makes beauty for the busy easy. Your clutch, your color, it’s the must-have makeup palette for the upcoming holiday season. 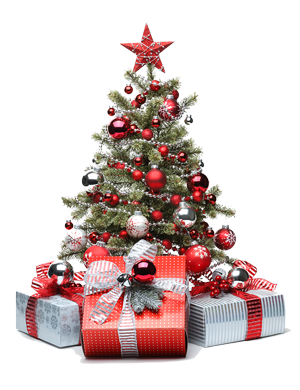 Use HOLIDAY2017 for 30% off all products. 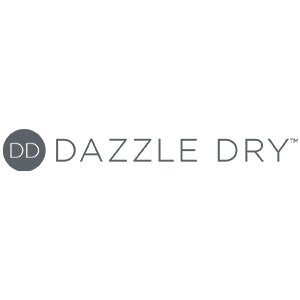 Dazzle Dry™ quick dry and non-toxic nail lacquer is an independent beauty brand balancing dedication to superior performance with a commitment to wellness. Our products are created in small batches, ensuring exceptional purity and zero animal byproducts or testing. 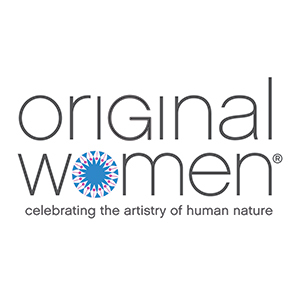 Wf1: Women For One is a global community that supports women in making life happen! 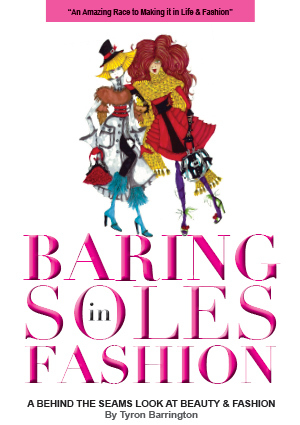 Their online boutique includes a line of inspirational T-shirts, handmade jewelry, online courses, and other unique items. Check out their curated selection of women-approved gifts! 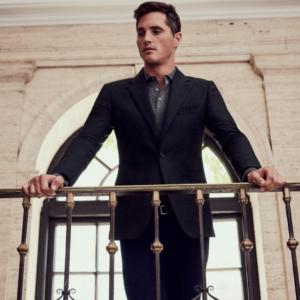 J.Hilburn is a line of luxury menswear whose mission is to deliver fit and style by offering our Clients a truly personal wardrobe that fits every occasion of his life. Meeting one on one with his own stylist offers convenience and simplicity without the high cost of retail. The Spa Dress® is a slip-on towel with less wardrobe malfunction than traditional toweling. Doesn’t fall when you need a towel to stay up. Stretchy top provides light support. Leaves hands free for beauty regime. Practical for the sauna but sporty as a sundress or skirt. Imagine stepping into 2018 with a new sense of STYLE that truly represents who you are NOW and where you’re going NEXT. Book your STYLE DISCOVERY SESSION by 12/22/2017 and receive $100 off your first styling service in 2018. A women-owned craft confectionery on Rockland’s working waterfront, Bixby & Co. makes Bixby Bars, Bixby Bites, and Maine’s first organic Bean to Bar chocolate. Bixby & Co. uses only high-quality, real ingredients, and our products are all non-GMO and gluten free. Dessert Gallery is all about passion! Passion for life. Passion for desserts. Passion for all that desserts represent: love, friends, family, nurturing, creativity, affection, sharing, and community. 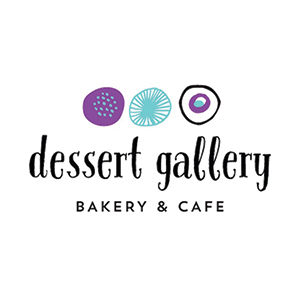 Dessert Gallery is real. It is a place where real people make real desserts by hand, using great ingredients and lots of love. Cookies by Design creates custom fresh-baked, hand-decorated cookie arrangements for all holidays, and occasions. Our specialty is the cookie bouquet, but we also offer gourmet cookies, cupcakes, brownies and chocolate truffles. 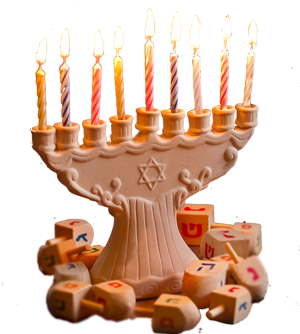 Our gifts can be personalized and we offer same day delivery in most areas. Give yourself the gift of stronger nails – eat our Blackberry Hills Granola every day as a delicious breakfast or snack and see the difference in a few short months! Shop for it at Whole Foods and Ingles Markets on the granola isle or order online! 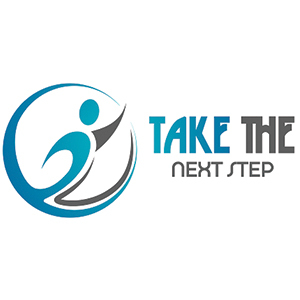 Take The Next Step helps women leaders and business owners/executives who struggle with their role identity to go for their it. Book your self awareness assessment with consultation now to get started on the shift from chaos to clarity. Makai Cares are natural body essentials gentle to your skin and the environment. From body lotion to bubble bath, our coconut-vanilla scent is the perfect gift for anyone you know! 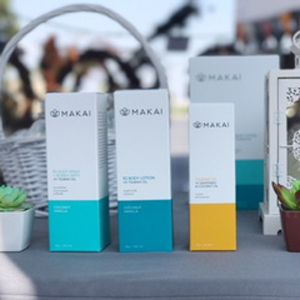 Makai, products from our family to yours, because if it matters to you it matters to us. Arbonne International offers ultra-premium products that are pure, safe and beneficial. Something for everyone in the family – from skincare to nutrition to makeup, and more. All products are vegan certified and cruelty-free, gluten-free, and formulated without toxic chemicals. 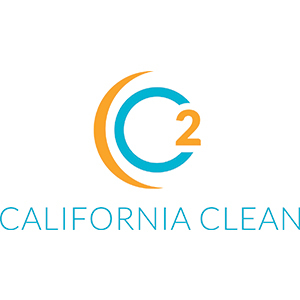 C2 California Clean is a woman-owned business and skincare line dedicated to creating nontoxic, plant-based products, that are clean, effective and most importantly, safe. 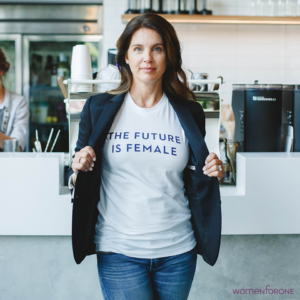 Founders Dr. Clarissa Shetler and Dr. Christine Falsetti are dedicated to help educate women about the power of plants + scientific innovation. C2 is an award-winning anti-aging skincare line. Carmine gives you all the vital information for ongoing car maintenance – customized for your type of car – in the size of a makeup case! With Carmine in your glove box you will know what to buy, where everything goes, and how it’s done right down to the windshield wipers. 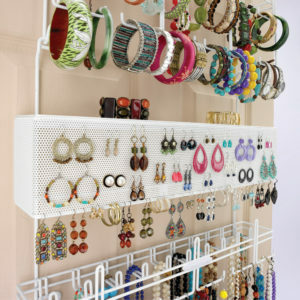 Longstem Organizers set out to solve a common problem: women and men could not see and store their jewelry and accessories in a glance. 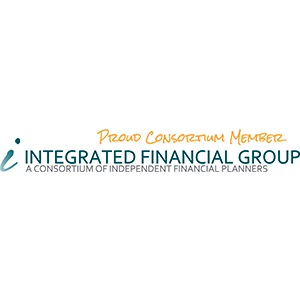 Our patented designs resulted in providing high quality and innovative organizational solutions. Today Longstem Brand products are recognized as the Quality Choice earning a coveted 5 star rating. Finally, a solution to the centuries old problem of what to do with your RGO (Really Gross Object—used tampon/pad) in both indoor and outdoor bathrooms! 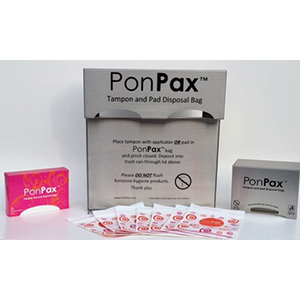 PonPax protects the health and well-being of women and children while being easy to use one-handed, discreet, and pretty. Stop wet paw mess at the door! 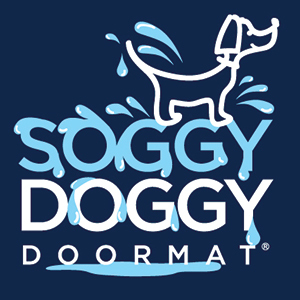 Superabsorbent microfiber chenille Soggy Doggy Doormat(R) soaks up 5x more water & muck than regular doormats. Velvety-soft, exceptionally durable and easy-care machine wash & dry too! 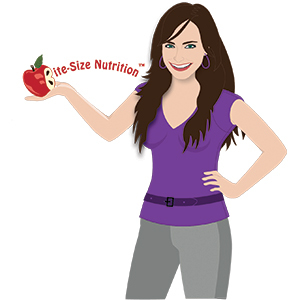 Use code WOMENWANT and save 20% this holiday season. 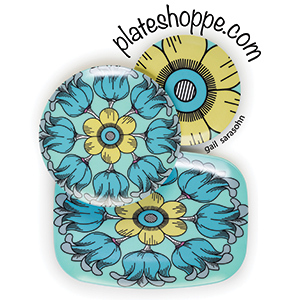 Create a fun, modern and colorful table setting using these Melamine Plates, Platters and 15oz Ceramic Mugs by plateshoppe.com. Plates and Platters are dishwasher safe. Mugs are dishwasher and microwave safe. Welcome to Third Act Originals, home of one of a kind alcohol ink paintings, acrylic paintings, and more! 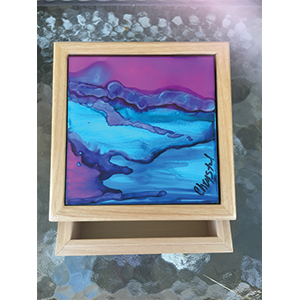 This beautiful 4″x4″ tile made into a box has been hand-painted with vibrant alcoholic inks and finished with an acrylic matte varnish, making it a unique creation for the perfect gift.